New Video Demo of Renegade I-Series Agitation Dip Tank Automatic Top Load Parts Washers with new Dual-Lift Pneumatic Mechanism model. Renegade I-Series Agitation Dip Tank Automatic Top Load Parts Washers with new Dual-Lift Pneumatic Mechanism. Renegade Agitation Dip Tank Immersion Parts Washers Clean Machined Components, Castings, Housings, Re-manufactured Engines and Transmission Parts. Also cleans surfaces prior to welding or de-burring. Renegade Aqueous Parts Washers are designed to work with Renegade detergents for maximum cleaning without residue buildup. My name is Chris and I am the service manager for Maplewood Bicycle in St. Louis, MO. 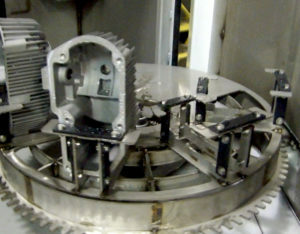 We own a Renegade TMB 5500 parts washer that recently required some new parts and service to get back in action. We ordered some replacement electronic components for the heating system and ran into some issues with getting the contactor to engage to complete the circuit. I just want you to know that we leaned hard on Sean McFerren in your service center to solve this issue and, with his help, we were successful. I can’t remember a time where I received better customer support for anything inside or outside of my job. He really went above and beyond to help us get our machine back, and believe me, we need that parts washer! I’m sure we are a small fry compared to some of the customers your team works with, but they didn’t make us feel that way. I appreciate your Renegade team and the support they provide. We are Renegade Parts Washers fans! The Renegade I-Series Agitation Dip Tank, and the Renegade TLT Dual 1615 Tumbler Top Load Parts Washers models were highlighted as they are ideal solutions for the fastener, stamping and screw machine industries. New Renegade I-Series 3624B WRD Pass-Through Parts Washer Delivers 3-Stage Continuous Cleaning Efficiency. Parts are transported via inline conveyor through Wash, Rinse and Dry Stage Compartments. Forty-one feet in length. Conveyor “tunnel” cleaning systems are designed for continuous product flow and high production cleaning operations. Industrial Parts Cleaning Applications include Aviation, Contract Machining, Fabrication, Transmission Manufacturing, and more. Renegade Solvent-Free Parts Washers and Detergents are eco-friendly. 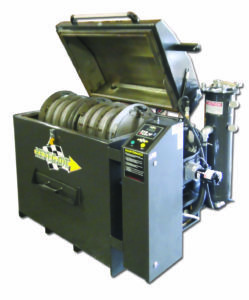 The Renegade FL 9000 6048 Front Load Pit Mount Parts Washer is a customized heavy-duty solvent-free solution for transit, fleet, aviation, and aerospace cleaning operations. Renegade automatic front load cabinet washers operate with a durable gear-driven turntable and provide easy access to the wash zone. Parts such as bearings and races are cleaned of grease, oil or lubricants in a high temperature and high-pressure environment. 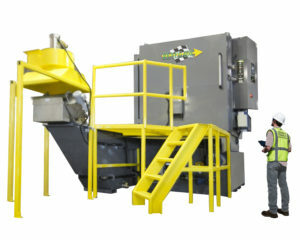 Designed for pit mounted installation, the custom options for the Renegade FL 9000 6048 Front Load Pit Mount Parts Washer include Gas Heat Immersion System, Sludge Conveyor, and Parts Tree with specially made nozzle and spray manifold configuration. Additional features include PLC/HMI Touch Screen Controls, sixty-inch turntable, 3,500-pound load capacity, and 2000 Gallon Tank Volume. In response to increased demand for its line of Renegade industrial parts washers and Renegade solvent-free detergents for parts washers, Service Line Inc., announces it has completed an expansion of its facilities at its Reedsburg, Wis., headquarters. Service Line says the new expansion is designed to provide the additional capacity required for new parts washer model development, parts washer detergents, additives, and other products for anticipated business growth. 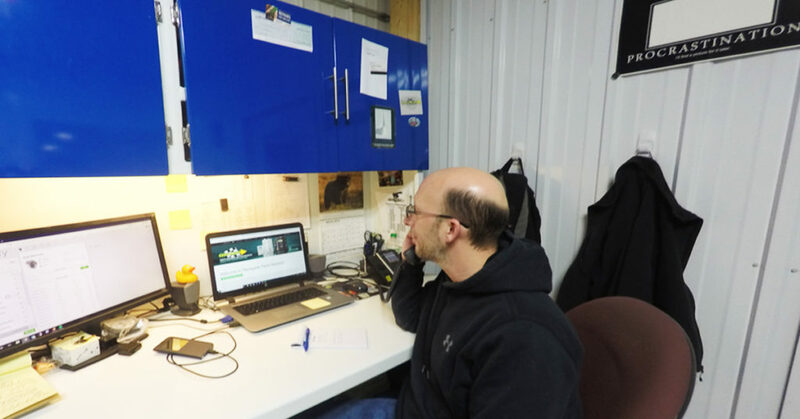 “We specialize in creating quality custom industrial parts washers that meet unusual and challenging customer requirements,” says Dave Barney, president and founder of Service Line. 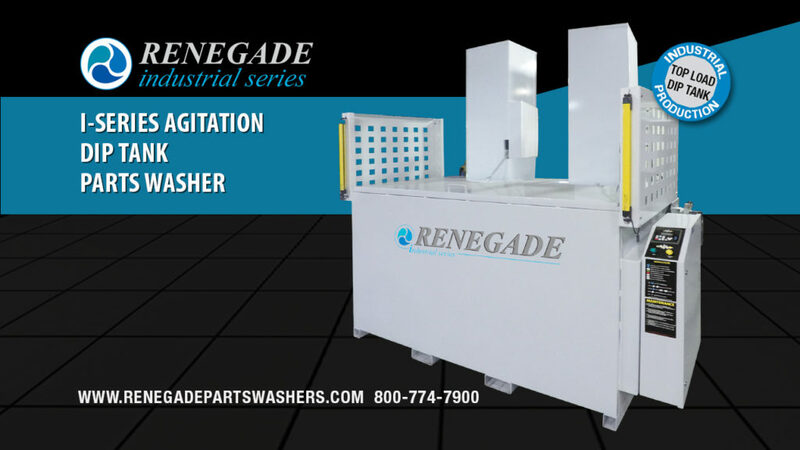 Renegade Parts Washers and Detergents New Product Line Video illustrates the wide range of Renegade Parts Washers cleaning systems for industrial process cleaning. 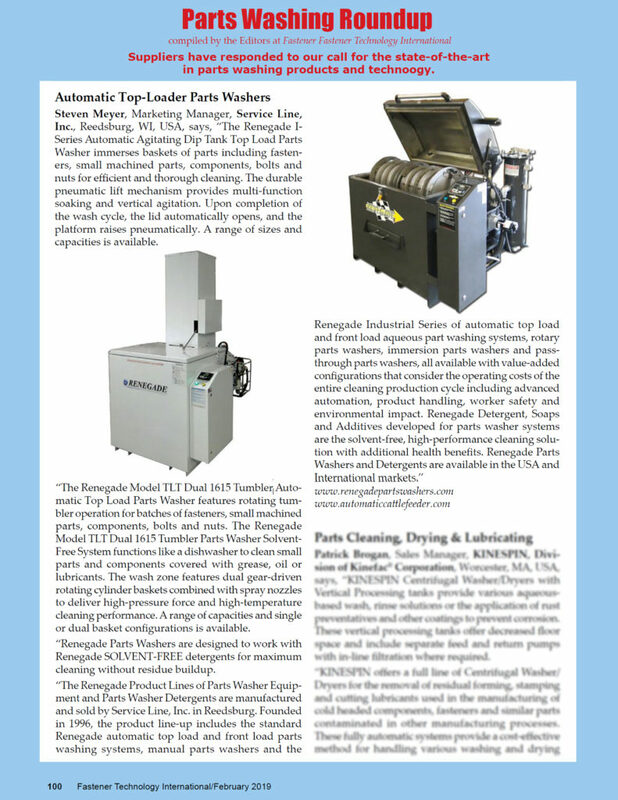 Featured Renegade Parts Cleaning Systems include Renegade I-Series Rotary Fixture Top Load Parts Washer, Renegade I-Series Return to Operator RTO Carousel Parts Washer, and the Renegade I-Series Pass-Through Conveyor Parts Washer. Also highlighted are the wide range of Renegade Cabinet Parts Washers sizes and capacities for many industrial applications. Renegade Front Load Large Capacity Parts Washer Cleans Heavy-Duty Automotive Components Without Solvents to Lower Environmental Impact, Increase Automation, and Reduce Labor Costs. The Renegade FL 9000 8060 WRD Wash, Rinse, Dry, Front Load Heavy Duty Aqueous Parts Washer is the large capacity, solvent-free cleaning solution for production cleaning operations such as engine and transmission machining facilities, or large remanufacturing operations. Renegade front load cabinet washers operate with a durable gear-driven turntable and provide easy access to the wash zone. Parts are thoroughly cleaned of grease, oil or lubricants in a high temperature and high-pressure environment. The Renegade FL 9000 8060 WRD Wash, Rinse, Dry, Front Load Heavy Duty Aqueous Parts Washer features an eighty-inch turntable and 5,000-pound load capacity. Additional features include 30 HP Heavy Duty Wash Cycle Pump, 850 Gallon Sump Capacity, PLC Programmable Wash Cycle Timer and Oil Skimmer. Industrial Applications for the Renegade FL 9000 8060 WRD Wash, Rinse, Dry, Front Load Heavy Duty Aqueous Parts Washer include Engine Components, Heavy-Duty Bus, Heavy-Duty Truck, Industrial Parts Cleaning, Large Casting CNC Machining Facilities, Machine Shop, Mass Transit, Mining Equipment, Production Engine Shops, Production Machining Facilities, Railroad Components, Remanufacturing Facilities, Transmission Machine Shops, and Transportation Production Centers. Automatic Front Load Parts Washers Automotive maximize efficiency in day to day production cell operations. Renegade Aqueous Heated Parts Washers are designed to work with Renegade Solvent-Free detergents for maximum cleaning without residue buildup. 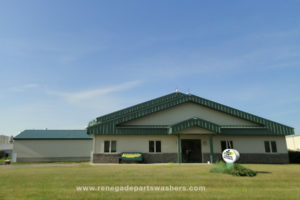 The Renegade Product Lines of Parts Washer Equipment and Parts Washer Detergents is manufactured and sold by Service Line, Inc. in Reedsburg, Wisconsin. 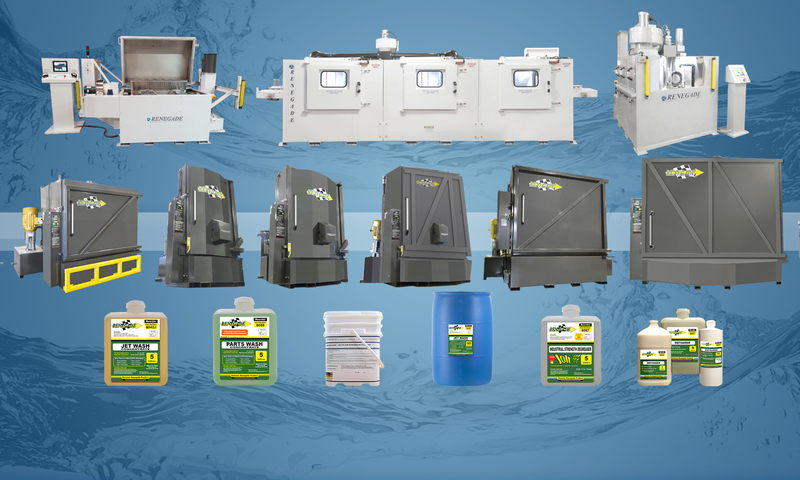 Founded in 1996, the product lineup includes the standard Renegade automatic top load and front load parts washing systems, manual parts washers, and the Renegade Industrial Series of automatic top load and front load aqueous part washing systems, rotary parts washers, immersion parts washers, and pass-through parts washers, all available with value-added configurations that consider the operating costs of the entire cleaning production cycle, including advanced automation, product handling, worker safety, and environmental impact. Renegade Detergent, Soaps and Additives developed for parts washer systems are the solvent-free, high performance cleaning solution with additional health benefits. The Renegade I-Series RTO Return to Operator Wash Dry Carousel Parts Washer delivers precision cleaning and drying of industrial components without solvents to lower environmental impact, increase automation, and reduce labor costs. The Renegade RTO cleaning and drying system boosts cellular operations and is designed to interface with robotic loading and unloading that is at the forefront of Industry 4.0 high production, repetitive cleaning operations. The Renegade I-Series RTO Return to Operator Wash Dry Carousel Parts Washer transports parts via gear-driven carousel operation and the wash zone contains strategically-placed wash nozzles to deliver high pressure force that cleans hard to reach cavities. The dry zone utilizes heated re-circulating blow dry plus an air knife to thoroughly dry components with blind holes. The large Allen-Bradley monitor has user-friendly touch-screen PLC/HMI controls for a wide range of programmable settings. The Renegade I-Series RTO Return to Operator Wash Dry Carousel Parts Washer provides precision cleaning and drying in a compact footprint. Safety features include dual safety light curtain and multiple e-stops. Removable panels allow access to wash and dry chambers for easy access user maintenance. 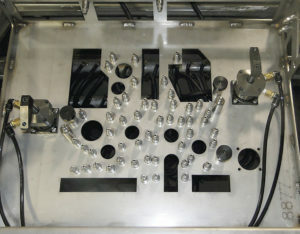 Custom fixture designs enable quick fixture/part changeover. Industrial Applications for the Renegade I-Series RTO Return to Operator Parts Washer include Aerospace, Aviation, Automotive Engine and Transmission Components, Industrial Parts Cleaning, CNC Machining Facilities, Production Machining Facilities, Remanufacturing Facilities, and Transportation Production Centers. Automatic Front Load Heated Parts Washers maximize efficiency in day to day production cell operations. Renegade Aqueous Based Parts Washers are designed to work with Renegade Solvent-Free detergents for maximum cleaning without residue buildup. 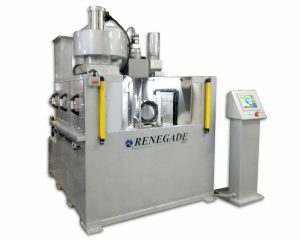 Renegade Parts Washers Custom Parts Fixture Options deliver customized functionality and optimal cleaning for difficult cleaning challenges such as blind holes, tapped holes, delicate features, etc. Renegade Custom Parts Fixtures are available in fixed or rotating designs in top load systems, and can also be mounted to turntables in front load systems. The custom fixture options are designed in conjunction with strategically placed high pressure nozzles to blast chips and debris from the part. The Renegade sales and engineering team will assess your special cleaning challenges and custom design the system that will meet or exceed your clean spec or warranty requirements, including custom fixtures designed to provide maximum cleaning consistency. Maximize the performance of your part washing system with Renegade solvent-free detergents for automatic and manual parts washers. Formulated to be environmentally safe and health risk free, Renegade detergents remove grease, soil, paint, corrosion, oil, and other contamination from the surfaces of different types of parts. Renegade Jet Wash Detergent is compatible with spray cabinet automatic parts washers. Includes rust inhibitor, and is low foaming and low residue. 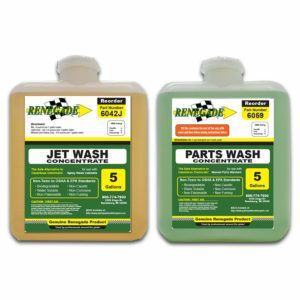 Renegade Parts Wash Detergent for Manual Parts Washers is solvent-free, fast drying, low foam, low residue, cuts grease and suspend oils quickly. Includes skin conditioner and rust inhibitor. Environmentally friendly, bio-degradable formula contains no Phosphates CFC’s, ODC’s, silicates, borates, halogens, phenols or chelating agents. Renegade Parts Washers and Detergents line also includes additives, rust inhibitors, degreasers, and defoamers. Renegade Sump Sweep Spray Manifold Option directs particulates toward pump for more thorough filtration and suspends particulates to reduce sediment. Extend use of soap/water solution and reduce sediment cleanup. 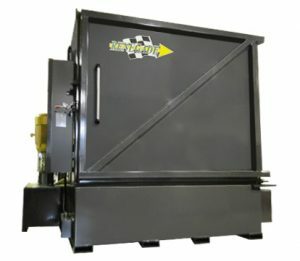 The Renegade Sump Sweep Spray Manifold option is available across the complete Renegade product line of parts washers, including front load, top load, and even manual parts washers. Renegade Parts Washers announces new automatic top load parts washing system with rotating tumbler operation for batches of small machined parts, fasteners, components, bolts, and nuts for screw machine or fastener industries and more. The Renegade Model TLT Dual 1615 Tumbler Parts Washer Solvent-Free System functions like a dishwasher to clean small parts and components covered with grease, oil or lubricants. The wash zone features dual gear-driven rotating cylinder baskets combined with spray nozzles to deliver high pressure force and high temperature cleaning performance. A range of capacities and single or dual basket configurations are available. Automation features include PLC Programmable Wash Cycle Timer and Heater Timer. Increased automation allows the operator to multi-task, and reduced labor costs impact cost of operations. Rugged stainless-steel construction means low maintenance but delivers high performance batch after batch. 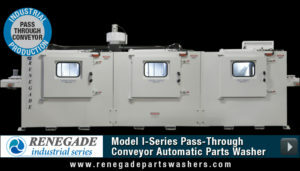 Renegade I-Series Pass-Through Wash, Rinse Dry Parts Washer System delivers 3-stage continuous cleaning efficiency to clean and dry complex, multi-ported parts transported via inline conveyorized roller operation. Each wash and rinse stage compartment contains spray manifolds with strategically-placed nozzles to deliver high pressure force and high temperature cleaning. The dry stage compartment contains a powerful air blower to remove residual water from even hard to reach cavities. Conveyor “tunnel” or “flow-through” cleaning systems are designed for high-production, repetitive cleaning operations and stages can be configured in any order. 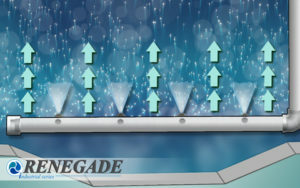 Key Components of the Renegade I-Series Pass-Through Wash, Rinse Dry System include PLC/HMI Touch Screen User-Friendly Controls with 7-day Timer for Heating and Skimming, Filter Monitoring, Preset Maintenance & Wash Cycles and Temperature Display. Additional features include Ethernet Connection for remote monitoring, Filtered Fresh Air Intake, Heavy Duty, Variable Speed POM Conveyor Transport System and Rugged Stainless-Steel Construction. Industrial Applications for the Renegade Pass-Through Parts Washer include Aviation, Fabrication, Machine Shop, Large Casting CNC Machining Facilities, and Remanufacturing. The Renegade Modular Conveyorized Cleaning System reduces labor and increases operational efficiency for real impact on operation costs. Renegade Parts Washers are designed to work with Renegade Solvent-Free detergents for maximum cleaning without residue buildup. Renegade is the premier source for top quality Automatic and Manual Heavy Duty Parts Washers. Top load, front load, or pass-through parts washer system just right for many industrial applications.